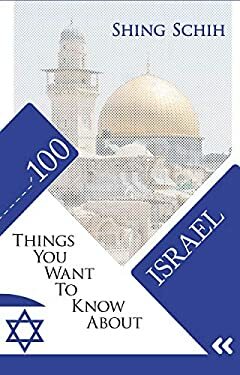 This trivia, with the subject matter as Israel, will help you gain a deeper insight into every aspects of Israel, including but not limited to its culture, history, geography, etc. Israel - When people hear about the Middle East, thoughts related to religious traditions come to mind, antiquities, great events that marked an era as well as conflicts that continue to this day. Israel is a Middle Eastern country that has stood out for the rapid growth it has had in recent years. According to the Bible, Israel is the Promised Land that the Lord promised to Abraham, the patriarch of Judaism, and that his descendants will inherit it in conjunction with all the blessings. Israel is a country located on the Asian continent, and its capital is Jerusalem. Only the Western part is considered the property of Israel since the Eastern part is under the control of the State of Palestine. Israel and Palestine have been at war for many years. One of the most recent conflicts was when the president of the United States, Donald Trump, recognized Jerusalem as the capital of Israel and decided to move the American embassy to this city, but despite these conflicts, Israel has much more to offer. Tel Aviv is the most modern city in Israel; the financial and economic center of the country is there. It is one of the most visited cities in the country. This city has beaches, shopping centers, educational institutions, and restaurants. In Israel, there are other cities that are important such as Haifa, Eilat, Beersheba, and Nazareth. In the Hebrew Bible, many historical events that happened in these different cities are related, and one of these reasons is that Israel’s religious tourism is very attractive to visitors. Let's begin your journey to Israel!